How often do you find yourself competing for attention online? If you’re a writer, artist, entrepreneur, or blogger, chances are a lot. There are millions of websites and our audiences’ time and attention are limited. So the question is: how do you distinguish yourself from the crowd and earn that well deserved attention for your high quality content? Ryan is the creator of ContentWarfare.com, the host of the Content Warfare Google Hangout / Live Podcast, and the founder of Hanley Media Labs. Ryan is THE leading authority on winning the war for attention online by building your brand the right way (and a person whose advice I implicitly trust – something I say about very few people). The best part: Ryan isn’t keeping his genius to himself. 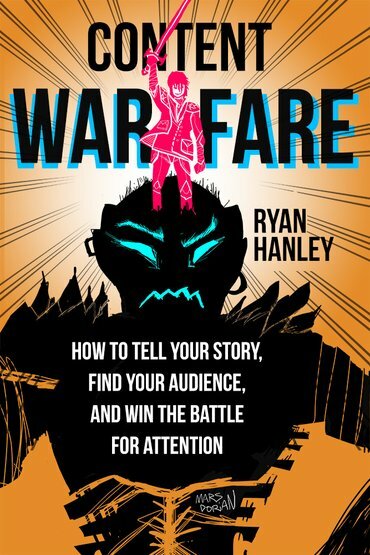 Check out Ryan’s book (appropriately titled: Content Warfare) on Publishizer here. In today’s podcast, we sit down and discuss Ryan’s background and how he transitioned from corporate America to online entrepreneurship; how he became a leading authority in building brands online; and his unique journey to published author. 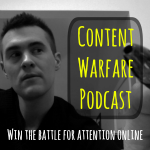 What Content Warfare is all about…. If you enjoyed today’s podcast, leave a review on iTunes here. And let us know what you think in the comments below!